Did you know that this month is National Home Security Month? Every October, homeowners are encouraged to re-evaluate their home security and take measures to improve it where necessary. As a glazing installer, this is an excellent time for you to offer your customers a way to improve the safety of their home. With Roseview Windows as your sash window supplier, you can provide your customers with Secured by Design windows to help to repel even the most sustained attempts at forced entry. 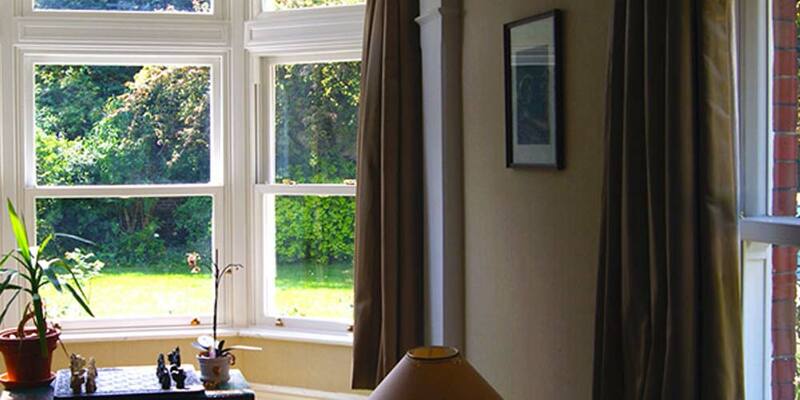 To give your customers peace of mind that their property is protected, all Rose Collection uPVC sash windows can be upgraded to Secured by Design status. Secured by Design is a police initiative which involves testing windows and doors to ensure that they meet the highest levels of security resistance. The rigorous testing procedures involve subjecting the windows and doors to sustained forced entry attempts that replicate real-life methods used by burglars. The products must prove that they can repel persistent and intense attacks on both the frame and glazing. When you offer your customers the Rose Collection, you provide them with the ability to securely protect their home. This year’s National Home Security Month is running the tagline: Make your home your castle. As the saying goes, ‘An Englishman’s home is his castle’ and this year NHSM is using this analogy to help homeowners to reinforce their property to prevent any intruders gaining access. Each week through October, there will be a focus on a different aspect of home security. From using alarms as visual deterrents to super secure locking systems, CCTV, and Smart security technology, the initiative is designed to ensure that homeowners get their property as secure as possible before the clocks go back and national burglary rates begin to increase. New manufacturing facility – coming soon! What can we offer you as trade sash window specialists? It's Roseview's 40th anniversary this year! Read our article to find out more about our history and how we'll be celebrating. Award-winning products and service! Roseview wins the G16 Customer Care Initiative of the Year award. Find out more. Find out more about the latest version of our award-winning Ultimate Rose uPVC sash windows. Roseview Windows - the UK's leading uPVC sash window manufacturer.